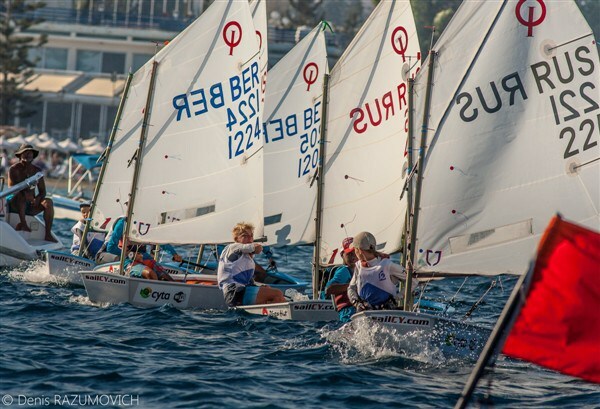 Tough day of sailing on the second day of the final series and just a day before closing of the 2018 Optimist World Championship. With 13 – 16 knots of wind, young sailors gave their best for their quest to a higher ranking on the final leader board. Good day for the organizers that still managed to get another 2 races in, despite the fact that wind still came in late. Kempe remains in 4th place in the Silver Fleet with 143 Net Points, also sailing in the Silver Fleet is Ebbin who fell two places and is in 31st place with 197 Net Points. Walker is the only Bermuda Sailor in the Bronze Fleet and she moved up five places on the day to finish in 60th place with 340 Net Points. Ringsted sailing in the Emerald Fleet jumped 12 places and is now in 11th place with 280 Net Points and Smith jumped 14 places and is currently 12th in the Fleet with 283 Net Points.